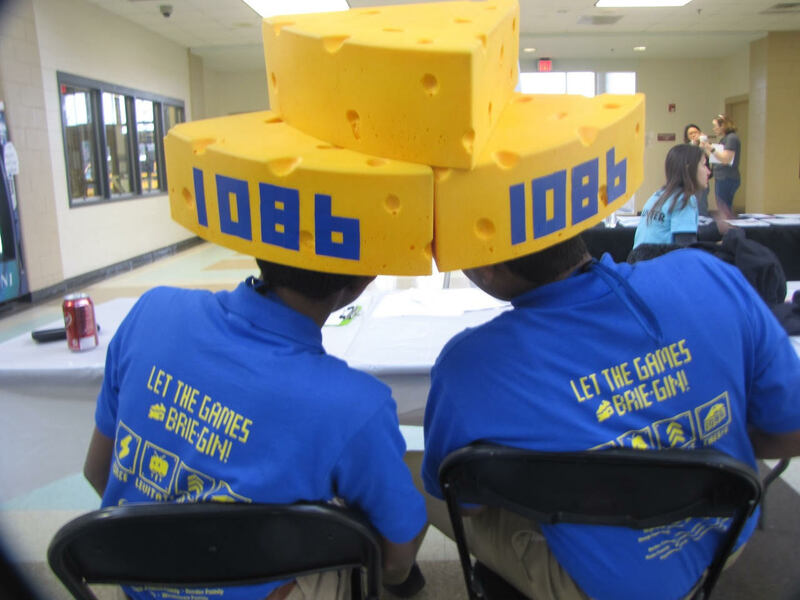 In this feature story, I wanted to introduce you to the FIRST® Robotics Competition Team 1086 Blue Cheese from Deep Run High School, Glen Allen, Virginia. FIRST Team 1086 was born when Deep Run High School first opened its doors in 2002. The growth and success of the team have helped teach hundreds of students technical, teamwork and leadership skills. 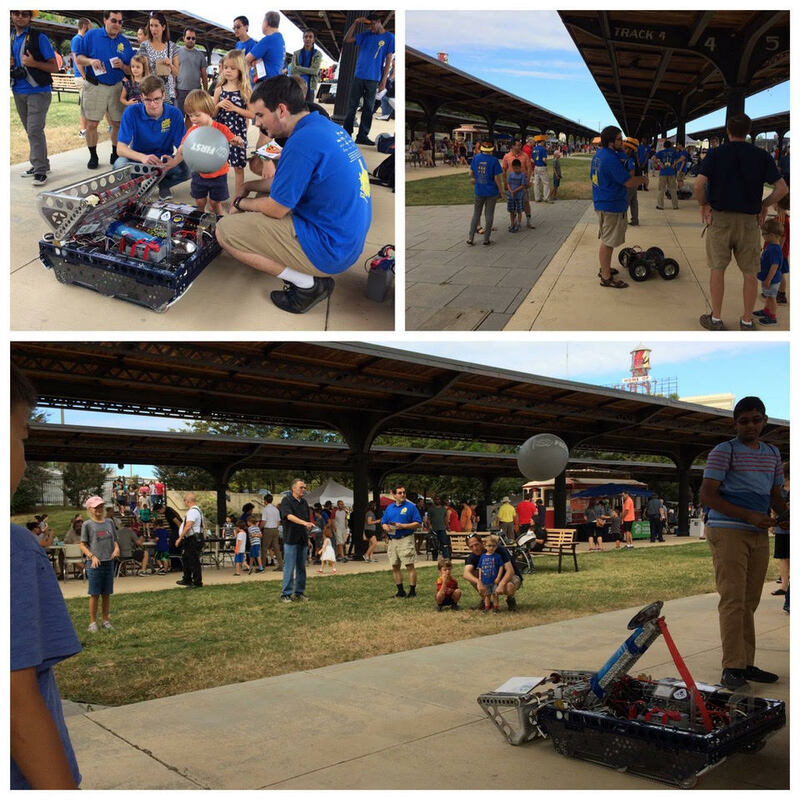 First Team 1086 has been regularly involved with RVA MakerFest. I had the pleasure of interviewing Bridget Westhoven, mentor and member of the Deep Run High School Robotics Booster Club, is a 501(c)(3) nonprofit organization that operates in support of FRC 1086 Blue Cheese, its students, and programs. (RVA MakerFest) Bridget, tell me about the Deep Run HS Blue Cheese Robotics team? How many students are involved and what are some of their accomplishments? (Bridget Westhoven) First Robotics Competition Team 1086 Blue Cheese has its build space at Powertrain Control Solutions in Ashland, VA. They were part of the alliance that won the 2016 FRC World Championship, the only Virginia team ever to have reached that level of success. The team is comprised of about 65 students from Deep Run High School, a coach and volunteer mentors from the community. They do outreach events throughout the year to inspire students in “STEM” (Science, Technology, Engineering, Math) and each winter/spring they have 6-1/2 weeks to design, build and code a 120lb robot to play a new game that is unveiled each January. The students must be busy! What type of outreach events do they participate in? 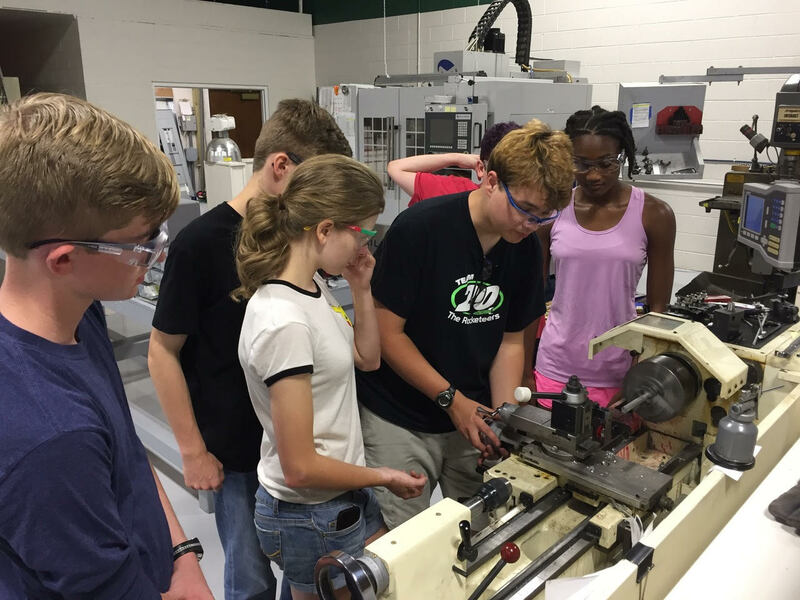 I know STEM, especially robotics, is a widely sought after subject matter. (BW) In addition to designing, building, coding and competing with it robots in FIRST Robotics Competition events, the team is often out in the community doing robotics demonstrations, teaching LEGO robotics, coding and STEM camps, assisting with Scouting badges and awards, volunteering for elementary school STEM nights, and participating in community events like RVA MakerFest and National Night Out. Perhaps you’ve seen us before… you can always recognize us by our signature cheese heads worn by our students. Alright, I have to ask. What’s with the cheese theme? We purchase our cheeseheads from a company called Foamation in Wisconsin. We are also famous for our use of cheese puns in our social media. 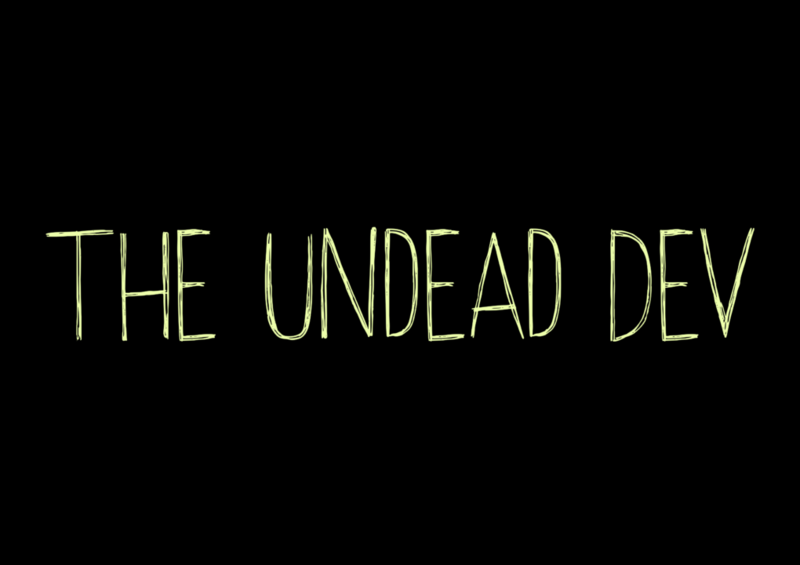 In your team’s video (linked below), there’s awesome talk about outreach to underserved communities. Do you have a story or two you can share about an impact the team made? (BW) This past year the team met representatives from two other RVA nonprofits at a grant award ceremony at DuPont (thanks, DuPont!). One was Sacred Heart Community Center that runs programs for the Latino community in the Manchester area of Richmond. 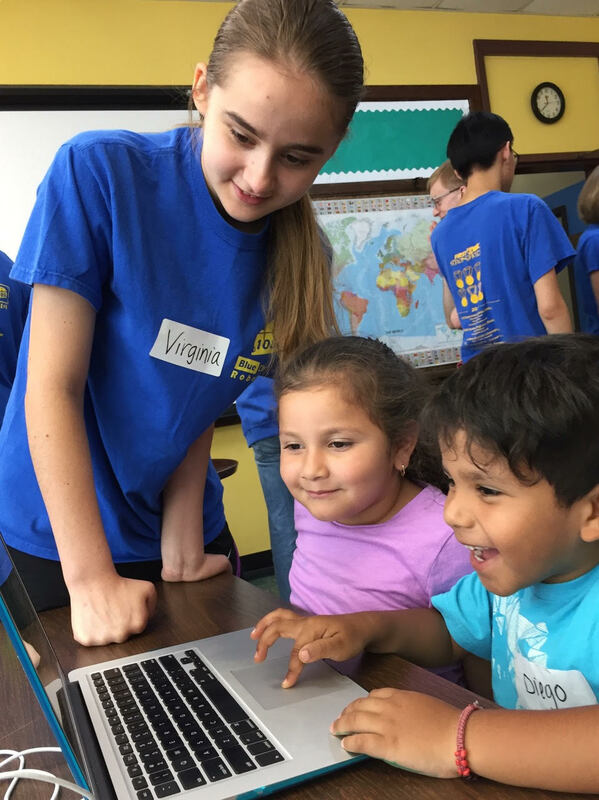 This summer a group of our students designed and taught a week of half-day hands-on activities at one of their camps, focusing on coding and robot control. We had such strong participation that every camper had a high school student to work with one-on-one. The other nonprofit is a group called Sportable which provides assistance and adaptive equipment to athletes with physical and visual disabilities. Our students have begun an ongoing partnership to meet with athletes to look for ways to improve the equipment they use for sports like rowing, kayaking, and biking. Our kids learn about biomechanical engineering and Computer Aided Design by working on real-life projects. Sportable athletes will have a better experience through improved equipment provided to Sportable at no cost. The most recent project involves 3D printing a piece for an oar lock. Win-win! Since we’re focused on the 2018 RVA MakerFest, what are you hoping to give and receive from participating in the MakerFest? (BW) We have been at every MakerFest so far. 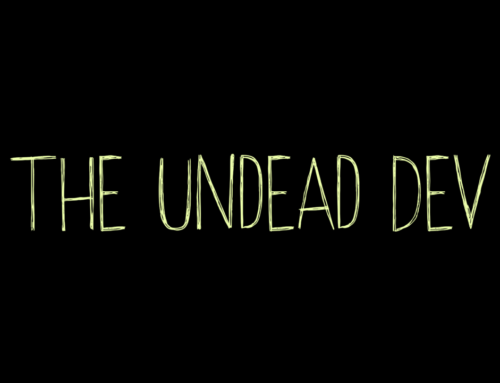 It’s one of our favorite outreach events of the year. We encourage our students to sign up for one shift to volunteer at the robot demo but to also schedule some time to go see all of the other amazing makers around the museum. One year we met another robot maker who inspired us to build a smaller robot that has been very popular at elementary school demos. This year we are partnering with the Society of Women Engineers to offer a paper circuits activity for kids. They will be able to make a greeting card that lights up and learn a little about electricity in the process. It doesn’t get “cheddar” than that! The RVA MakerFest team looks forward to seeing Team Blue Cheese and all of our other makers at RVA MakerFest 2018 on October 6th!